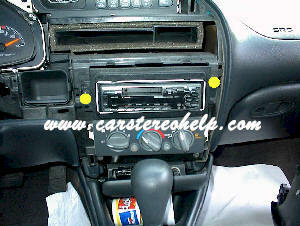 1) Remove two screws under dash. 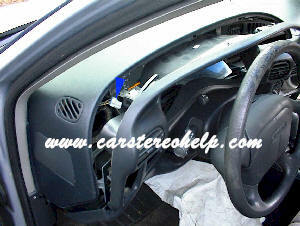 2) Pull panel forward and drop toward floor. 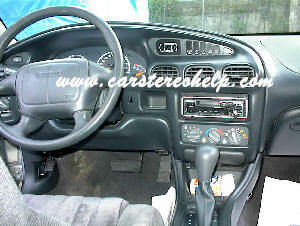 1) Pull gauges and car stereo trim panel from dash. 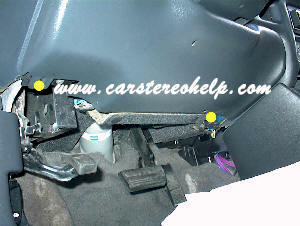 2) Release connector, removing dash panel. 2) Pull unit forward, remove antenna and connectors.